Visual Computing Labs (VCL), the VFX and animation arm of Tata Elxsi Ltd. India’s leading design company has announced its association with Dhoom 3, an action packed thriller, starring superstars Aamir Khan, Abhishek Bachan and Katrina Kaif. Directed by Vijay Krishna Acharya and produced by Aditya Chopra, the third installment of Yash Raj Films' popular Dhoom franchise has been rendered in association with Tata Elxsi - Visual Computing Labs (VCL). To capture and replicate the director’s vision on the silver screen, VCL has worked with some of the best names in the industry in India and abroad to deliver over 1500 VFX shots with a team of 100 artists in a short span of 11 months. The fast paced action sequences in the film demanded a high number of VFX shots to be delivered. VCL achieved this feat by seamlessly integrating multidisciplinary skills to amplify the action and the drama in a completely realistic and believable way. Dhoom 3 is India's first film to simultaneously release in the IMAX format, thus all the VFX had to stand the test of being credible which successfully delivered on VCL’s commitment to offer the viewers with a larger-than-life experience. Post the initial script narration, VCL held detailed discussions with the creative team to ensure that each shot was meticulously planned to recreate the scene in the film. Along with VCL's Academy Award winning Senior VFX Supervisor, Joel Hynek, Creative Director, Pankaj Khandpur and VFX Supervisors, Sherry Bharda and Vishal Anand, comprehensive action sequences were designed and rough storyboards were produced which were elaborated further using pre-visualization. In the planning stage, the unique methodology of pre-visualization helped the experts at VCL to recreate the scenes in a virtual format therefore minimizing the effort and time invested in reproducing the shots on location. VCL has demonstrated a vast array of visual effects solutions in Dhoom 3 ranging from creation of digital characters to re-creation of vehicles and two-wheelers using CGI which also included a 3D water jet ski. To make high-octane actions scenes look real, VCL conceptualized and generated some key elements to control and maintain the focus on the actor’s face in most of the fast-paced bike riding shots. This involved extremely accurate CGI lighting and reflections on the helmet visor as well as on the digital assets used. VCL’s contribution also included the creation of both interiors and exteriors of the sets using CGI to deliver specific sequences in the film. It is that time of the year when we tend to pause and reflect. What have we achieved this year? What are the highlights of culture, business, technology, and trends that we have observed around us? For me, the most exciting and positive movement at present is in the domain of technology impacting education. And it is an impact that is coming from many different directions. Let’s explore them in further detail. The cost of higher education is high, and when coupled of youth unemployment and student debt, it has become a serious issue that is finally getting a great deal of attention this year. 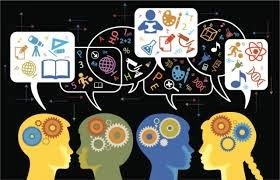 It is causing the higher ed institutions to experiment, consider alternative models, explore new ideas. Education has been a rather slow-to-change field. This year, however, I think the pace of change has picked up, and most likely, this trend is driven by fear. While the top institutions with big brands can justify their premium pricing, most others cannot. Tremendous amounts of quality educational content is available online for free, or at reasonable prices. Unless the degree comes with a serious branded network, is it worthwhile to pay so much? The question, I am sure, will be hotly debated over the rest of this decade, and changes will come. The jobs are mostly in the STEM fields. Then why would anyone pay $30k a year for four years to study the humanities? What is the justification for existence of the liberal arts colleges if they cannot translate that education into lucrative professional careers? This is the question plaguing the leaders in that field. Personally, I am a huge believer in liberal arts education. However, I also believe, that liberal arts should be the arts that liberate. Today, those are technology and entrepreneurship. Thus, I would like to see the liberal arts colleges make it compulsory for students to study programming and entrepreneurship as parts of their degree requirement. We’re not there yet, but by 2020, I hope, we get there. Most engineering schools are hotbeds of experimentation with MOOCs and other online education possibilities. EdX, the mother of all MOOCs, came out of a collaboration between Harvard and MIT, and is run by MIT’s Anant Agarwal. There is, however, concern around intellectual property, and many deans are not as keen to give out their jewels for free. My take on the subject is that Free is a dangerous path. Creating and delivering value isn’t free. Thus, consuming value should also not be free. 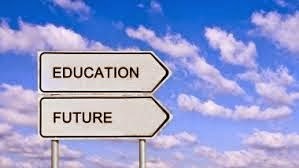 Is education a public good? To an extent. But with governments neck-deep in debt, it is unclear how such models will sustain at scale. Nonetheless, experimenting with scalable modes of delivering world class education to students worldwide is worthwhile. Whatever comes out of this will likely, also, be worthwhile. The other observation I have is that many of the deans of engineering schools are trying to figure out how to also train their entire body of engineering students with entrepreneurship education. They don’t have adequate budgets yet, but again, with smart use of virtual methods, it is doable. I would like to see, by 2020, every single engineering student in the world ALSO trained in entrepreneurship. The pace of progress for humanity will accelerate tremendously. It is engineers, not MBAs, who know best how to ‘build’ things. That includes new companies. At the face of huge global youth unemployment numbers, the country that has drawn attention as a successful model is Germany. They do vocational training well. Most other countries don’t. America has an excellent network of community colleges through which really great quality vocational training CAN be delivered. However, the quality of the community colleges and their connections into the employers is quite poor. There’s a lot of work to be done here, but through a combination of virtual learnings methods and internships, the gap can be bridged. The model, also, needs to be replicated globally. Salman Khan has made some dent in K-12, and Khan Academy’s attempts at turning the schools from ‘sage on stage’ to ‘guide on side’ is a seminal experiment under way. Instead of not-very-qualified teachers trying to create course content, if the lectures are standardized and delivered via online video, which teachers guide students through exercises in class, the quality of education may significantly improve. It’s early. But, it is an extremely promising direction. In general, rich media content available widely for educational purposes is awesome. The film ‘Lincoln’ is far more engaging to teach history with than a dry text book. Today, the limiting factor for online education is broadband penetration. By 2020, this will change dramatically. The ability for digital learning to impact society will also change alongside. The availability of vast amount of rich media content not only on smart phones and tablets, but also on television is drastically changing how people consume media. Instead of TV being time-bound, today, it is becoming largely on-demand. To the extent this trend accelerates, education and entertainment are going to intersect in ways that we haven’t seen yet. I see huge potential. For-profit colleges get a lot of flack. They charge big tuition fees, and don’t deliver on the employability metric as well. But, if you look at education businesses as great providers of digital programs and materials, without having to worry about accreditation, faculty, etc. such that existing institutions can scale their ability to deliver quality education using those capabilities at reasonable prices, the potential is enormous. If community colleges started adopting more of the proven digital learning methods and casting their faculty as ‘guide on side’, the results could be encouraging. In this, also, lies the answer to the question of how a liberal arts college or an engineering school can teach entrepreneurship or programming to large numbers of students (not 50 students, 5000 students). Entrepreneurship has justifiably become cool, and its education on high demand. This trend will continue. At every level – high school, college, graduate school, community college – entrepreneurship needs to be taught, and by 2020, we will see much greater penetration of entrepreneurship education throughout society. Entrepreneurship as a vehicle of economic development and prosperity is becoming well understood. Its education will also become so within this decade. There is a lot of discussion around whether unpaid internships should be legal. I think, this is nonsense. Any opportunity to educate and develop skills in people should be welcome. If employers are willing to train free of charge, it is absolutely ridiculous to not let them. It takes a lot of bandwidth for an organization to train green, unskilled people. It is free education that makes youth employable. I hope that aided by online services, the process of matching interns with employers will become pervasive at every level, in every country. This is an incredibly important youth development strategy for the world. Those are currently my observations. I have a long view, and fully acknowledge that it will take time. Many of the experiments are at their very beginning stages. Nonetheless, I do believe that we end this decade on high note, having achieved meaningful strides in the education domain.